There seems to be no exercise more effective than the deadlift in instilling fear in the hearts of patients. I cannot tell you the number of excuses, hesitations, and outright refusals I have heard regarding its performance. It would seem that we still mistakenly believe that the squat is the safest and most optimal way of lifting and moving load (thanks WebMD), but I am here to tell you that just is not the case. Mechanically speaking, the deadlift, when performed correctly, is the proper way to lift – whether it be a case of wine, a heavy moving box, or a piece of furniture. It is the ultimate functional movement. So why are we so terrified of it? Usually it’s something along the lines of “my back is weak/sore/painful” or “that’s how I hurt myself” or “but I might hurt my back”. However none of those are a good reason to avoid it – in fact, those are all reasons you should be doing it! There are many contributing causes to back pain. Back pain can stem from weak glutes and hamstrings making it difficult to effectively move the load you required of the task. It can also come from weak spinal erectors and/or weak abdominal and pelvic floor muscles. A properly performed deadlift challenges your body to maintain a specific spinal position thereby training it to remain stable when exposed to high shear forces. You will get more benefit from a properly performed deadlift than you will from hundreds of crunches or a 3-minute plank hold. This is because deadlifts are a total body exercise. Not only does the deadlift help facilitate strong and powerful glute and hamstring muscles and effectively challenge your core, it also places greater demand on the upper body than a squat. Squats don’t have the same effect on your scapula and rotator cuff in terms of stability, nor do they require the same muscle activity from your biceps and latissimus dorsi muscles. 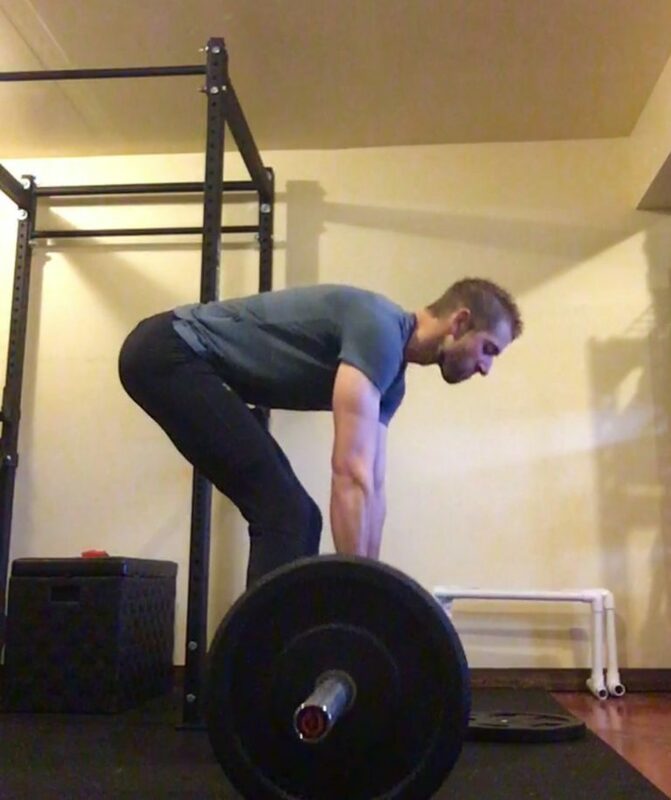 Deadlifts are also one of the safest weight lifting exercises to perform – you aren’t going to get pinned under weight or risk getting pulled over backward. They don’t require a spotter, you simply drop the weight if you get into trouble. That being said, deadlifts, when performed correctly, are not bad for your back. Poorly performed deadlifts, regardless of weight, can place you at risk of injury. One must first have the required mobility as well as the appropriate stability, in order to perform a deadlift with proper form. And no, it’s not just for powerlifters. Deadlifts can be and should be performed by just about everybody. Sure, you may need instruction and supervision during the learning process. There are many variations and modifications to allow for a safe and appropriate progression to lifting and moving heavy loads with the deadlift. Your physical therapist or other trained fitness professional can help to properly assess and instruct you in the correct performance of this movement (see video below for an example, but please use feedback for practice). Keep doing your squats, but don’t neglect the deadlift – your glutes, hamstrings and core will thank you.